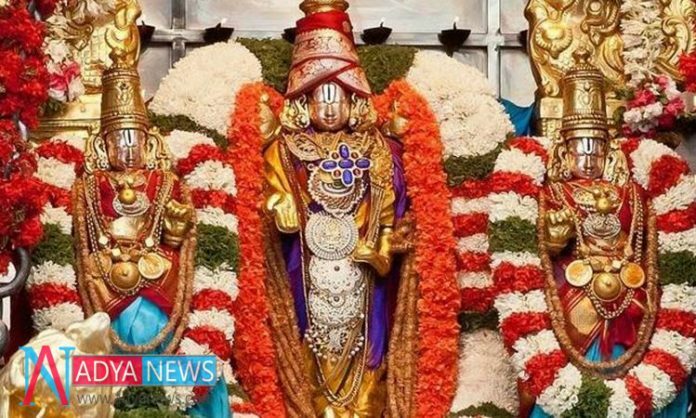 Andhra Pradesh’s One of the famous temple as came into the limelight with an sad news about that Three Golden Crowns have been stolen from Sri Govindaraja Swamy Temple in Tirupati . Tirupati temple Superintendent Sri Gyana Prakash documented a police protest in such manner. GOld Crowns are of the directing divinities (Malayappa, Sridevi, Bhoodevi) at Sub-Temples weighing 1,351 gram on the whole. Malayappa Crown weighs 528 gram, Crowns of Sridevi and Bhoodevi weighs 408 gram and 415 gram separately. All the three gold crowns are studded with valuable stones. Sanctuary Authorities found the crowns were absent from the twelfth Century Temple at 5 pm on Saturday. Cops speculate the burglary could have occurred amid the night prasadam contributions. CCTV recordings recorded in the temple premises and surroundings has been watched completely. Examination Officers have been suspecting everybody who were at the area when the burglary occurred .